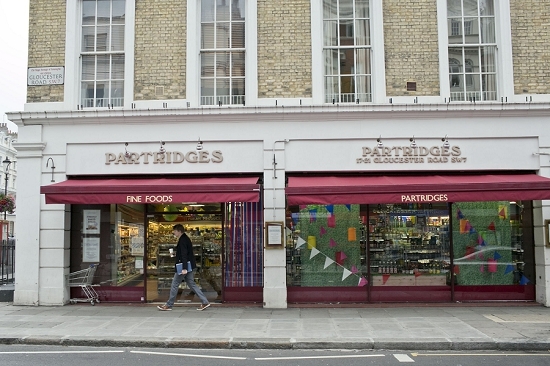 "We're taking the power back," says Ruth Holbrook, store controller at Partridges, describing her recent switch to buying direct from the Market. 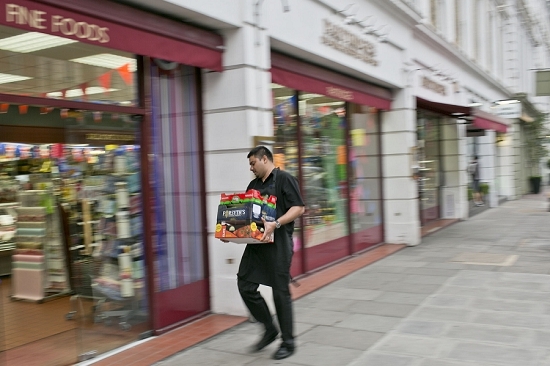 Previously, this small chain of upmarket grocery shops relied on a handful of catering suppliers and distributors from for their regular supplies of fruit and veg. Now they do the shopping themselves, visiting Covent Garden two or three times a week. Ruth states: "I absolutely know that we will increase our sales if we do it right." She previously worked at the market and is familiar with the variety of traders: "[At Partridges] we wanted greater control over the produce we were getting in terms of origin, quality, price, size, backwardness and forwardness." 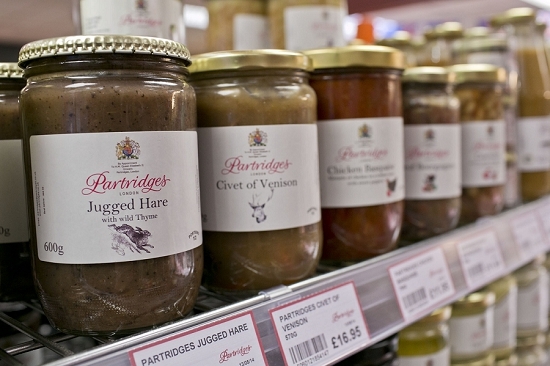 Holder of a prestigious Royal Warrant, Partridges was launched by brothers Richard and John Shepherd four decades ago and remains very much a family business. Their model is to operate stores in relatively affluent areas, offering products from a wide range of quality suppliers. 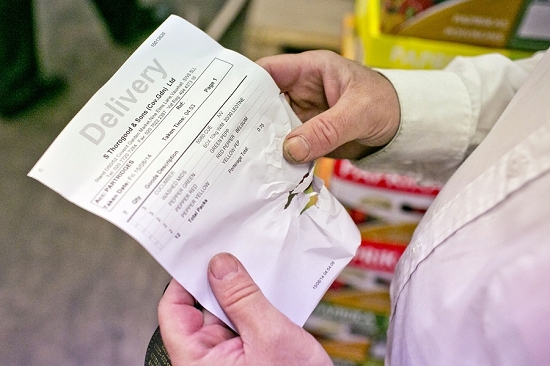 "We have the finest caviar, smoked salmon and cheeses – but we also sell bleach and toilet roll," Ruth explains. 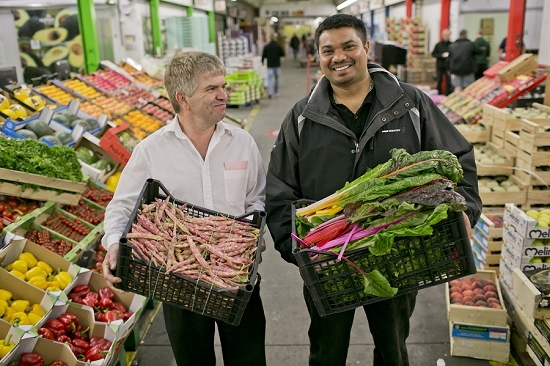 Her colleagues Shaun Joseph Fernandez (pictured right) and Vasco Soares (left), who work in their Sloane Square store, visit Covent Garden Market two or three times a week. 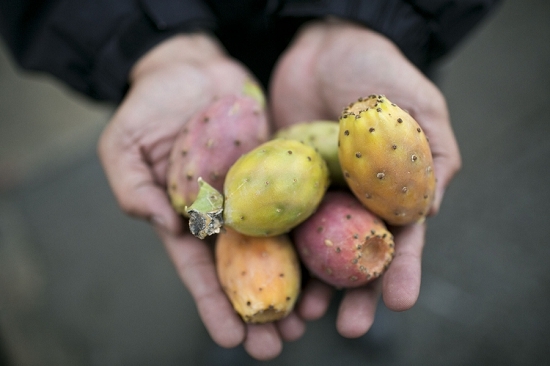 "We enjoy the trip: tasting and seeing seasonal fruits from different countries," says Shaun, showing off a handful of prickly pears from Sicily. 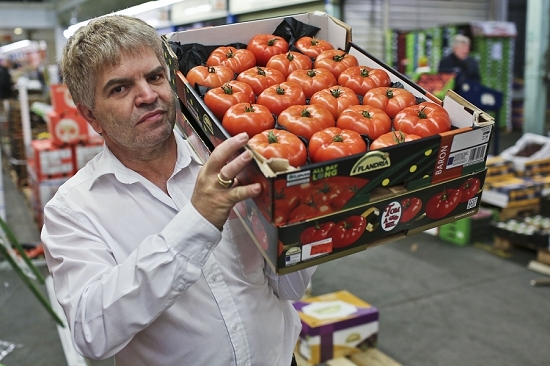 Vasco worked in fresh produce in his home country of South Africa and says it took a few weeks to find his feet on the Market. Now he is recognised by the traders and feels in safe hands: "You feel they will help you. I think they treat you fairly." 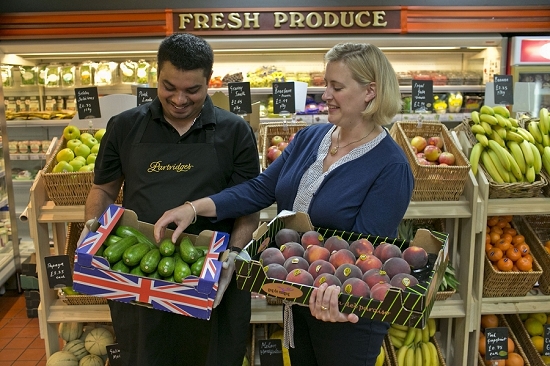 Quality is their prime consideration for the customers at Partridges: "They are good at paying but just as good at bringing it back," says Vasco. Back at the store, it's a race against time to stock the shelves before the doors open. In her office, Ruth explains that their new buying policy is paying off: "We can give the customer a better price so we can shift more volume." 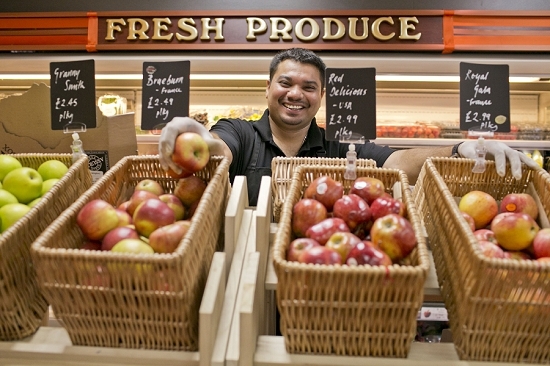 Moreover, when the fruit and veg are fresh it "reinforces the impression that all the stock is well kept and fresh." 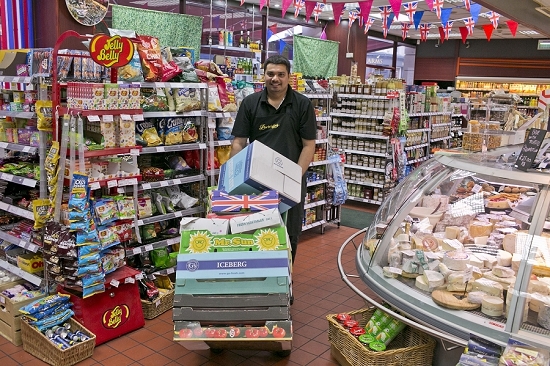 "It's not a regular shop like Tesco or Sainsbury's," says Shaun. That's for sure – where else could you pick up prickly pears, a bottle of top notch Puligny-Montrachet white wine, truffle-infused Brie and a basic loaf of white sliced bread?